Here is something I am very excited about! 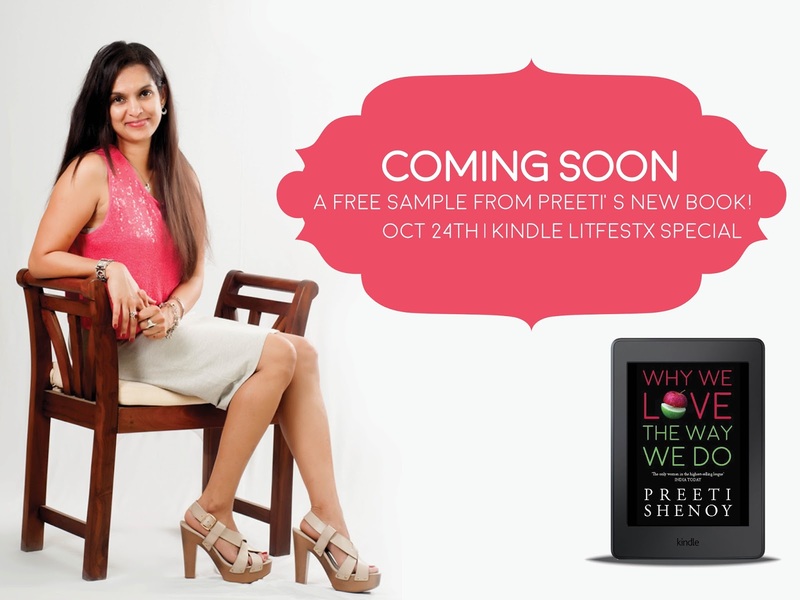 The first three chapters of my new book Why We Love The Way We Do, will be launched LIVE, today (24th October 2015) at 12.00 pm IST. You can interact with me in real time, at my litest session. It will be LIVE on youtube. For those of you who are reading this post later, you can still watch the session. And after it is launched, I will come back here later today and update the post with the link to the first three chapters.